In the course of the survey the property corners will be found, if they have been disturbed they will be reset and marked with an iron pin and plastic cap bearing the surveyors registration number. If corners are not visible from one another, stakes may be placed on line between them if the owner asks for the lines to be marked. On completion of the survey, all corners should be marked with a “witness” stake so they can easily be found for the short term. You should be aware though that the actual corner is the metal pin in the ground. Any encroachments and easements will be shown on the survey plat which is a drawing depicting the work done. If requested the home and other improvements will be located and shown on the plat as well. If you have additional questions about your survey or would like to have a lot survey or closing survey performed, please give Brandon Bailey, PLS a call at (251) 281-2081 or better yet send us a contact form request. A subdivision is understood to be “dividing a larger tract of land into two or more smaller tracts of land.” This might be done to divide land among family members or other individuals. Technically, any further division of a piece of land into smaller portions is a subdivision, but this term has come to mean a tract of land that is divided with roads provided and lots for home construction. This is the most common use of the term. A subdivision generally creates smaller lots all at once – the day that the subdivision is recorded. This means that each lot owner has equal standing under the law – there are no “junior” or “senior” rights of ownership, no matter what their deed date is. Another side effect of this equal standing is that if there are errors (overlaps or gaps) on the location of the property lines, then each adjacent lot owner shares in that error. 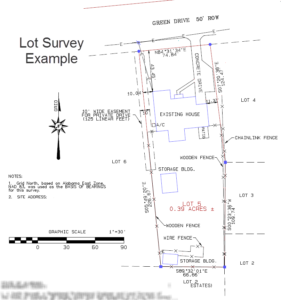 For example, if all of the lots in a subdivision have 100-feet of frontage along a street as platted and recorded, and a surveyor finds that there is a missing corner between two owners. In order to place the missing pin in the right place, it must be placed exactly between the two outer corners, no matter if there is less than 200 feet or more than 200 feet between those pins. 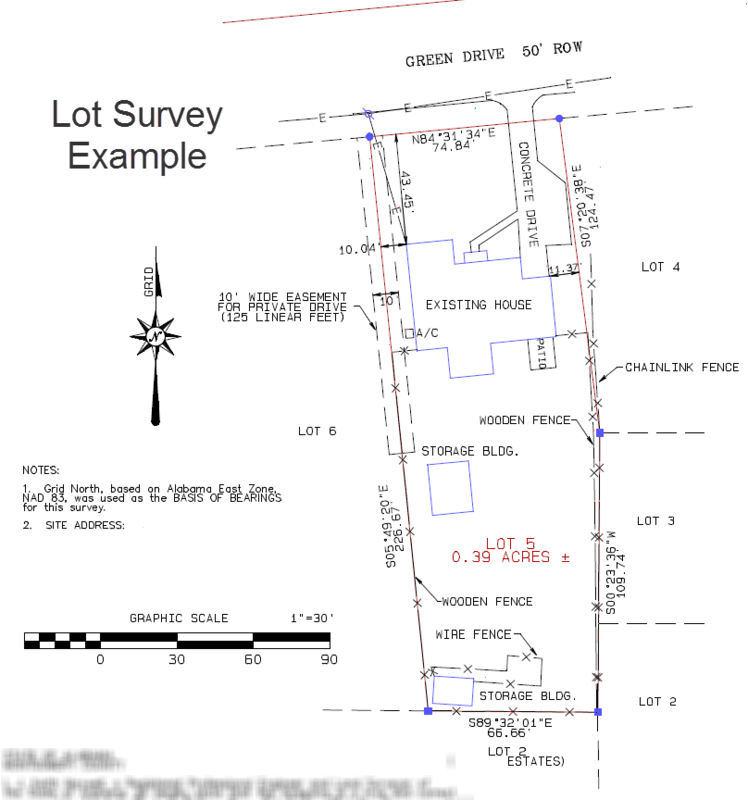 This is called proportioning measurements and must always be done with dealing with a subdivision lot from the same recorded plat.